Black-clad protesters in southern Athens have torn down a red sculpture shaped like an angel and broke its wings in a fresh act of violence against an artwork critics liken to Satan. Protests against the 8-metre high sculpture called Phylax, which in Greek means “guardian”, have ranged from throwing white paint and spitting at it to attempting to exorcise it with a Greek priest sprinkling holy water. 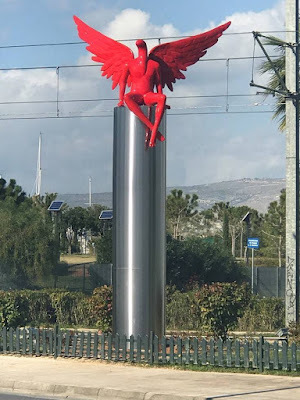 The priest described the statue as a “demon soldier of Satan” in a letter to the mayor of Palio Faliro, Dionysis Hatzidakis. It was displayed on December 5th in a busy area in the coastal suburb of Palaio Faliro. Protesters have included some residents, religious conservatives and supporters of far right political groups. Flee swiftly from my heart, all-crafty one. Flee from my members and from my life. chaos, manslayer, and ferocious beast! at the same time the taste of sin and death. as once He bade that presumptuous Legion. 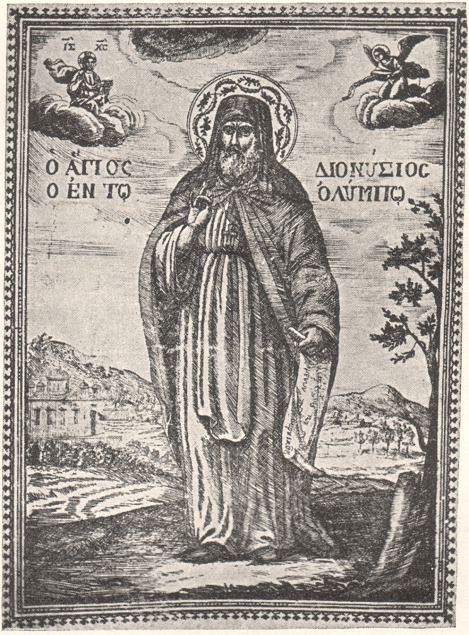 In the spring, Saint Dionysios went to the city of Katerini. On the road, he met a group of young girls and boys, who were singing immodest and inappropriate songs of the type that incites youth to shameful and improper desires. 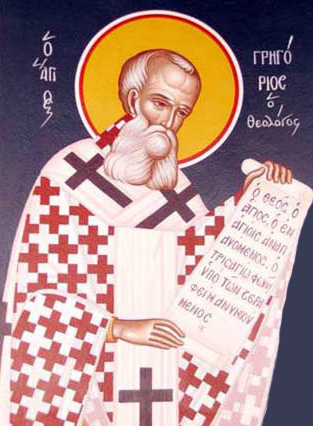 The blessed man was grieved hearing these things, and said to them: "Why do you say these things, being that you are virgins? Such disgraceful and immodest words defile your virginity, exciting and inclining these youths to sensuality. 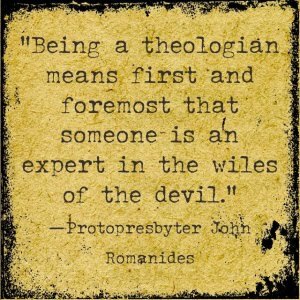 Do you not call death to remembrance?" 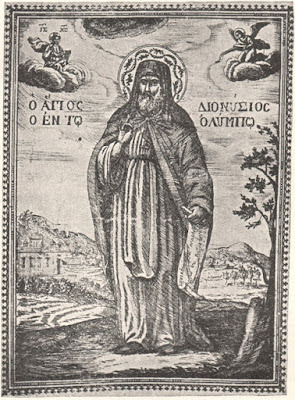 Anthony was a Christian saint credited as a founder of monasticism, famous for his temptations by the Devil and his demons. 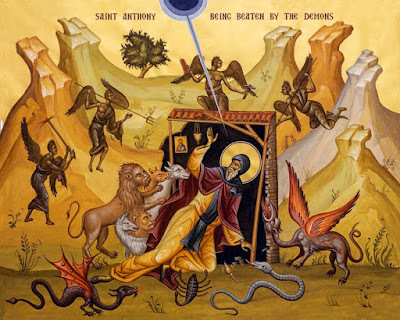 Anthony means “inestimable.” Saint Anthony is also known as Anthony or Antony of Egypt, Anthony of the Desert, and Anthony the Abbott. The account of his life and demonic torments was recorded by his friend St. Athanasius, Patriarch of the Church at Alexandria, Egypt, in Vita S. Antoni (Life of St. Anthony). The temptations of Anthony were a popular subject for medieval artists. I spent a week in Paris in October of 2016, taking in the culture and visiting the various shrines and museums of the city, and on the day I visited the Pantheon, where I saw the tombs of Voltaire, Rousseau, Zola, Hugo, Monnet, Dumas and the Curies (just to name a few) as well as an exact replica of Foucault’s pendulum, I also wanted to visit the location of the relics of Saint Genevieve behind the Pantheon, at Saint-Ètienne-du-Mont, which unfortunately was closed for the day. Staying at a hotel in the Latin Quarter, I realized the next time I would be able to visit the church was on the morning of my flight back to America. 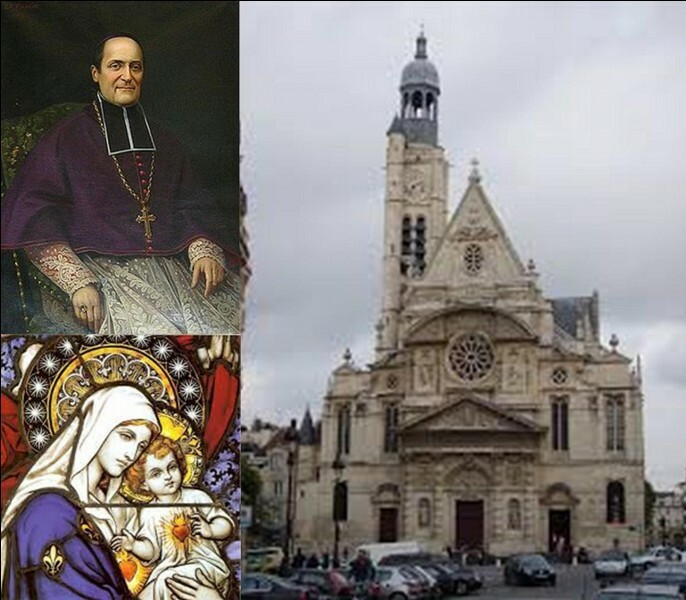 So having packed my things that morning, I rushed on an eight minute uphill walk to Saint-Ètienne-du-Mont, arriving early waiting for the priest to unlock the door at 9:00 AM, hoping I would have enough time to venerate the relics of the Patron Saint of Paris before I went to catch my flight. My goal there was three-fold: a) to venerate the relics of Saint Genevieve, b) to see the tombs of Pascal and Racine, and C) to see the location of the assassination of the Archbishop of Paris which took place in this church on January 3, 1857, which was the feast of Saint Genevieve.